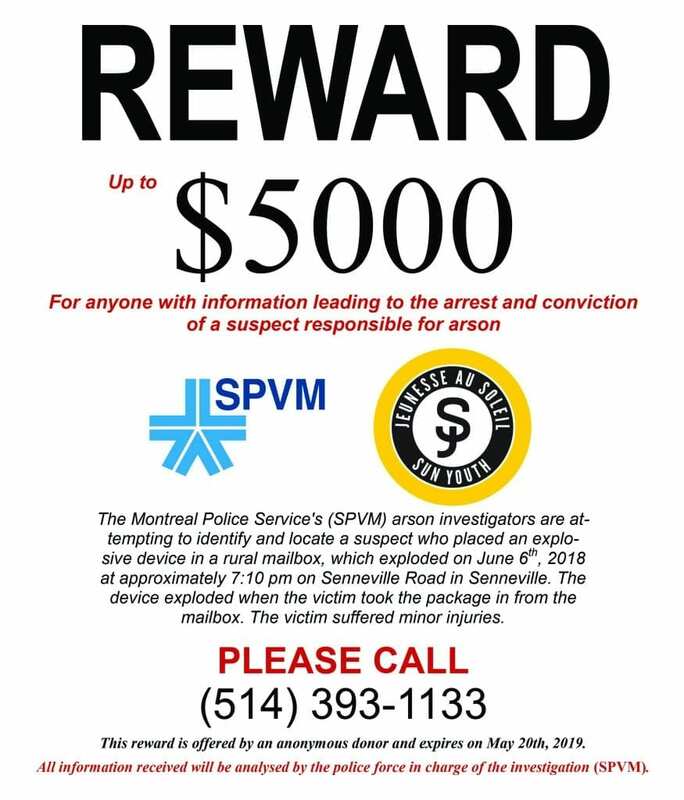 The Montreal Police Service’s (SPVM) arson investigators are seeking the population’s help to identify and locate a suspect who placed an explosive device in a rural mailbox, which exploded on June 6th, 2018 at approximately 7:10 pm on Senneville Road in Senneville. The device exploded when the victim took the package from the mailbox. The victim suffered minor injuries. A $5,000 reward is offered through Sun Youth Organization to anyone with information leading to the arrest and conviction of a suspect responsible for arson. This reward expires on May 20th, 2019. 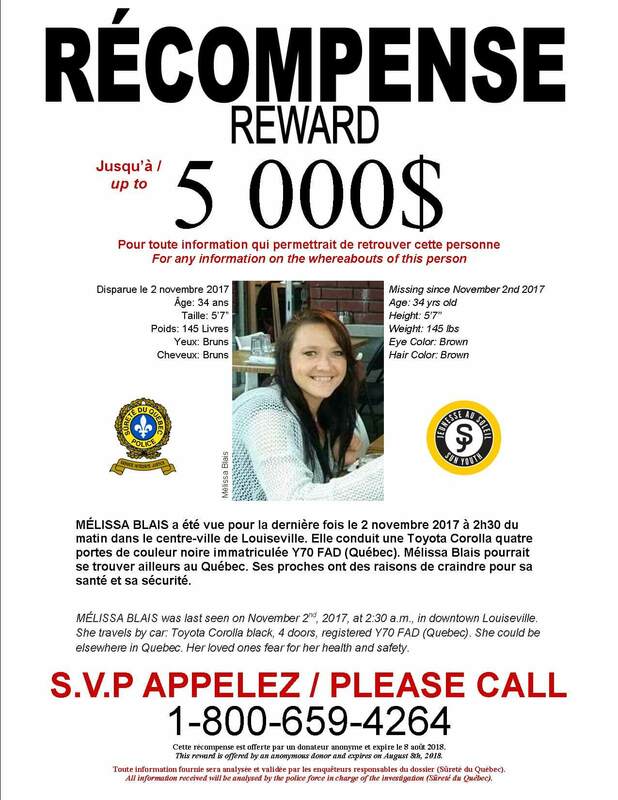 Anyone with information about this case is asked to contact the SPVM at 514-393-1133. Citizens interested in the solving of certain criminal investigations donate sums of money to be offered by police forces as rewards to individuals providing information leading to the arrest and conviction of wanted criminals or to the location of a missing person. All rewards are first approved by the police force in charge of the investigation. They are offered for a limited period of time after which, as decided by the donor, they are renewed, or the money is returned to the donor or used in other crime prevention activities like in providing assistance to victims of criminal acts in particular. Sun Youth is the sole manager of these rewards. It acts as an intermediary between the anonymous donor and the police force in charge of the investigation and ensures that the reward can be made available to the police force, if necessary. Investigators are the ones who decide whether it is appropriate or not to grant a re¬ward as well as the amount to be paid. 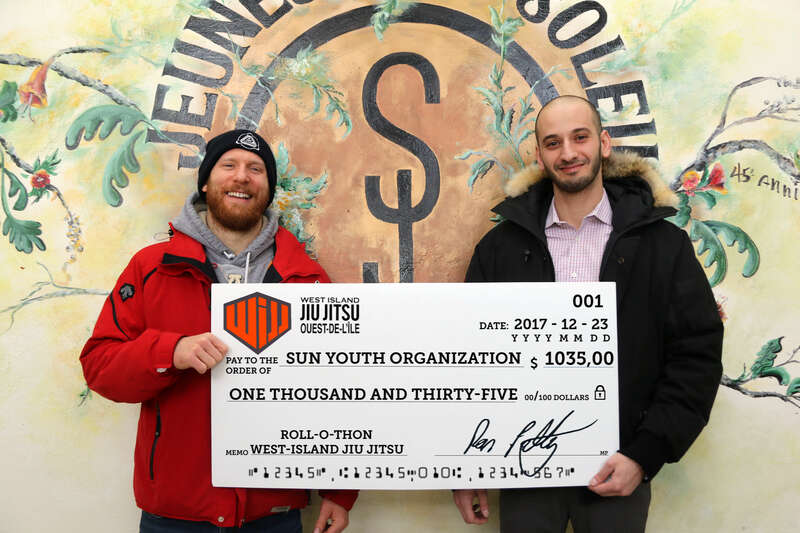 Created in 1991, Sun Youth’s rewards program carries on thanks to a steady partnership with the City of Montreal Police Department (SPVM). 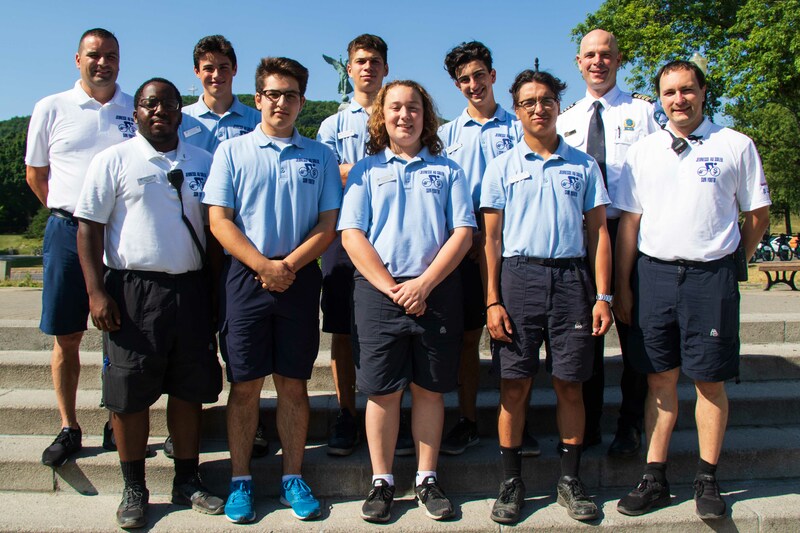 Since then, other police forces have joined this Sun Youth’s program: the Quebec Provincial Police in 2009 (Sûreté du Québec), the City of Laval Police Department in 2011, the Longueuil Police Department in 2012 and the OPP (Ontario Provincial Police) in 2014. In 2015, Sun Youth signed an agreement with its 6th police force, the Service de police de la Ville de Québec (SPVQ). 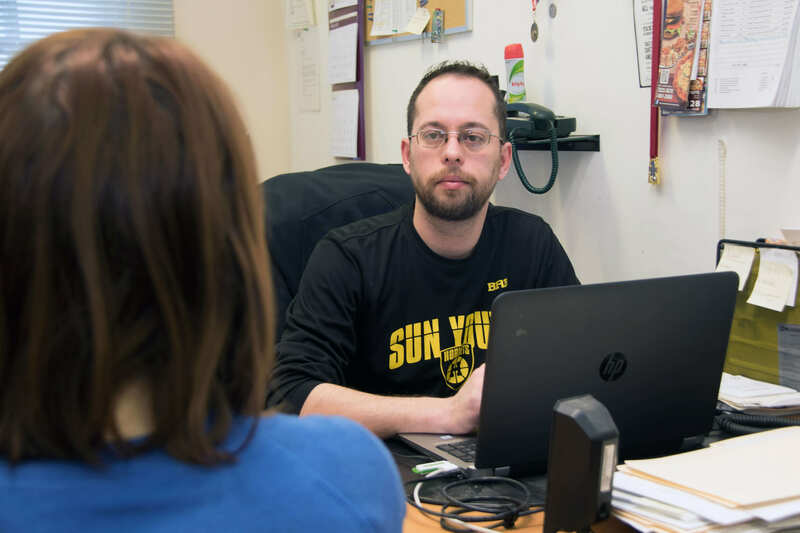 Since 1991, Sun Youth’s rewards program has helped solve 26 criminal investigations and cases of missing persons corresponding to 27% of all investigations for which a cash reward was offered. As of March 31st, 2018, the rewards granted amounted to $100,000. 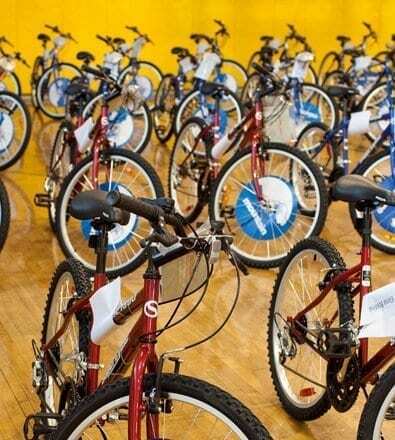 Once again, the teen patrollers joined the Sun Youth Bike Patrol. They will act as the eyes and ears of the SPVM….